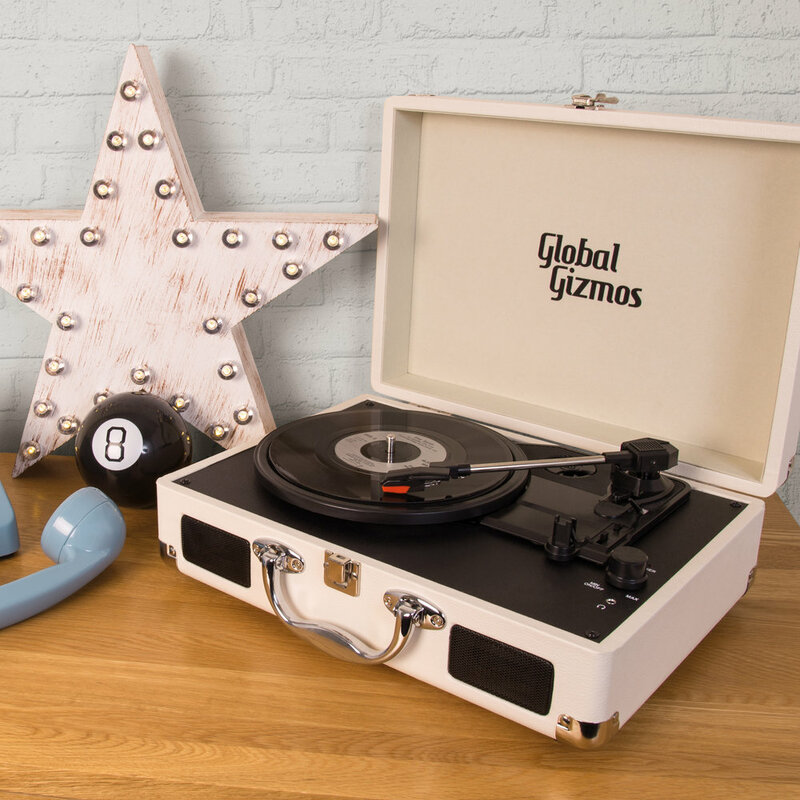 Retro turntables, Bluetooth speakers, Dancing water speakers, headphones, a karaoke microphone are all in this extensive audio range. 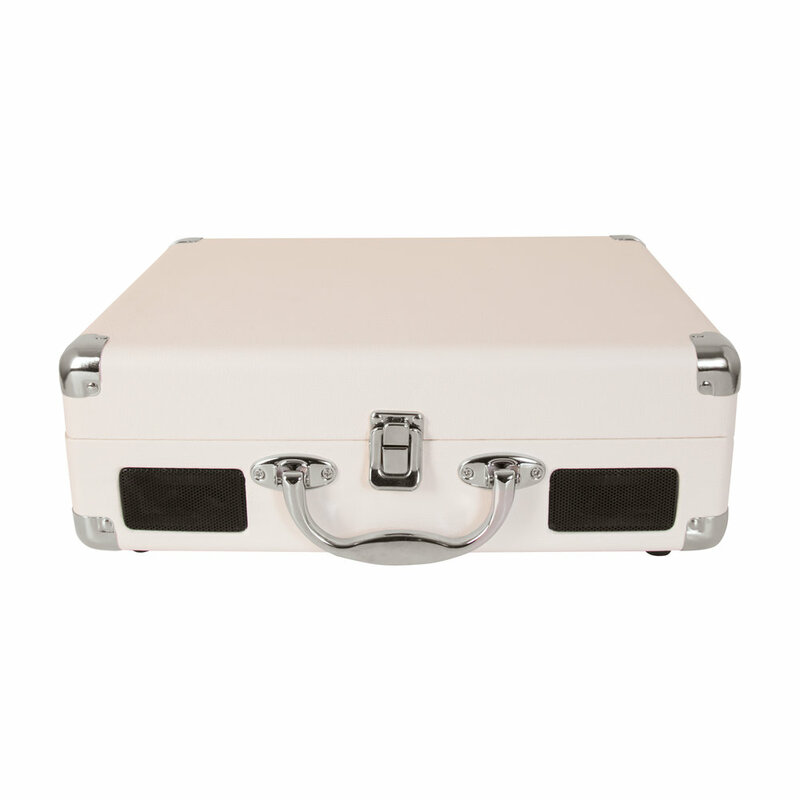 Bluetooth Multispeed record player fitted into a stylish briefcase design, with snap lock & carry handle. Pair & Play - Via Bluetooth Connectivity with earphone jack plug. 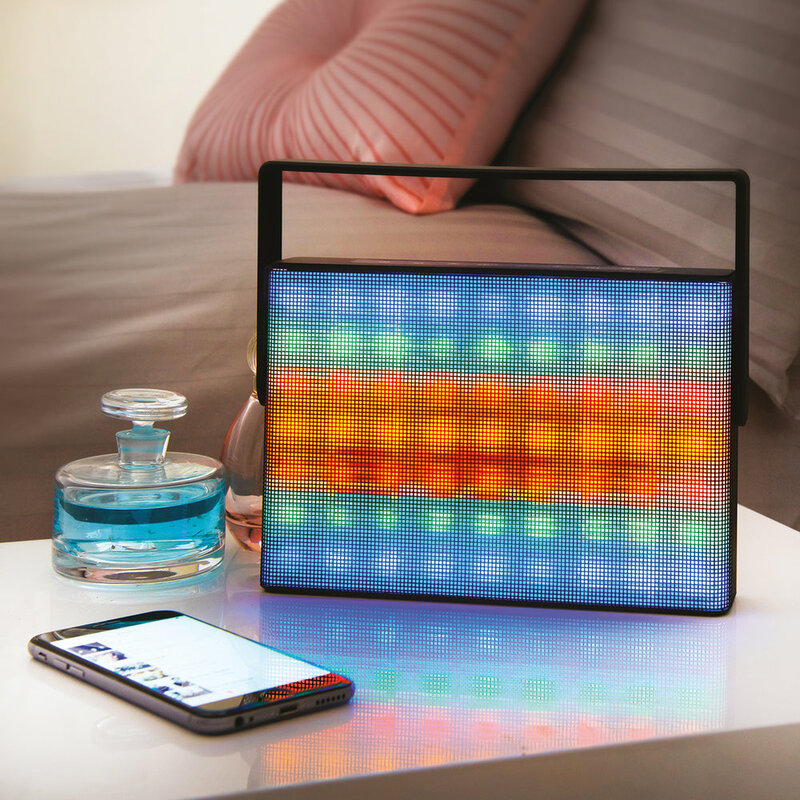 Light up your sounds, create a multi coloured infinity light display which pulses to the music. Includes USB cable & audio cable. Plug & Play - Mp3, MP4, Smartphones, iPad compatible. 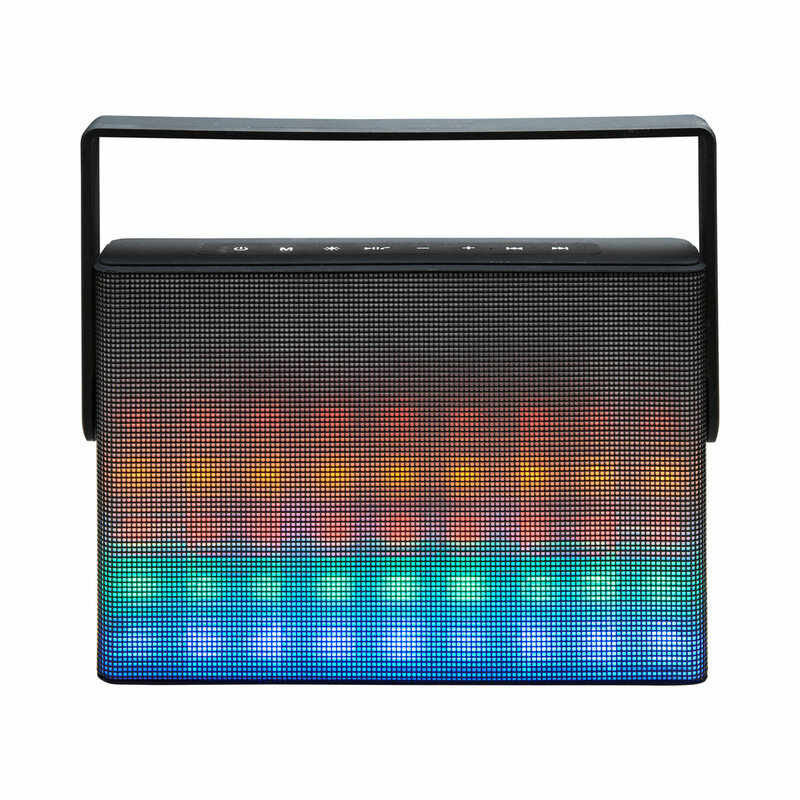 A portable light-up speaker with high density battery, and an animated multi-colour LED display. Bluetooth: Mp3, MP4, Smartphones, iPad compatible. Light up your sounds, create a stunning display of dancing multi coloured water jets. Light up yours sounds, create a stunning display of dancing multi coloured water jets. 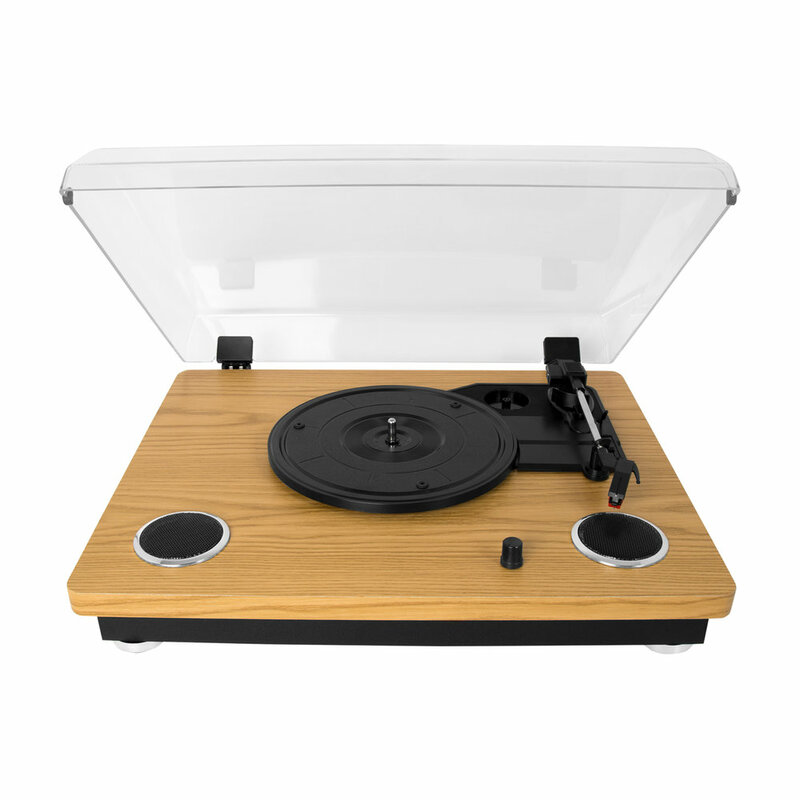 Bluetooth Multispeed record player fitted into a stylish wooden design, with a clear dust cover.